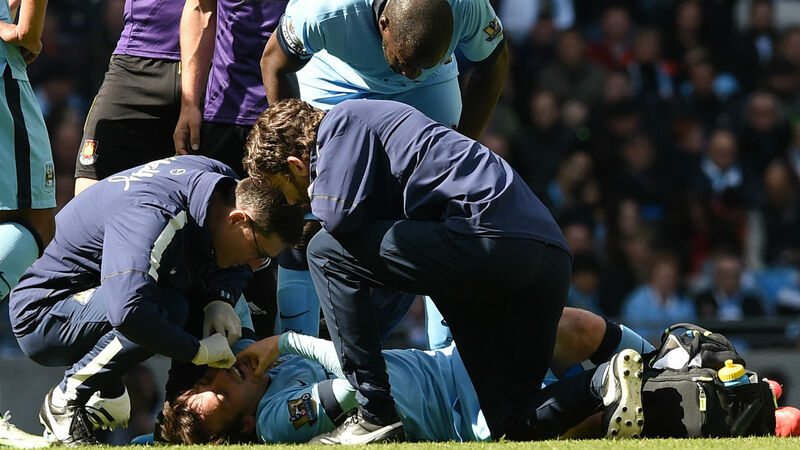 David Silva was taken to hospital as Manchester City fear he suffered a fractured cheekbone or collarbone in their 2-0 win over West Ham. The Spaniard was stretchered off after a seven-minute delay after he was caught by the elbow of Cheikhou Kouyate. The Hammers midfielder was booked but his manager, Sam Allardyce, insisted it was purely an accidental collision and claimed it was not even a foul.